There are generally two types of models that work well in Toronto. The first are editorial new faces who have just started modelling. These models will most likely be walking in Toronto Fashion Week, shooting for magazines such as Elle, Flare, and maybe shooting some campaigns. The second are commercial models who have an older, more mature look. These models are most successful in Toronto, as they work consistently, for high rates for a large array of big clients. There are also the models who started out as editorial models in Toronto but have since segued into commercial modelling. The same can be said for male models, except there are even less editorials shot for men, and even fewer that pay. The male models who work the best in Toronto are the commercial models who are considered to be more 'manly' in appearance and muscular. Models who do not find themselves in either category could always try the market out and still potentially find success. But both female and male commercial models will get the most work and strongest response from clients, especially if they have travelled to bigger markets in Europe, the US, or Asia. Models of almost all backgrounds and ethnicities can work in Toronto. Female editorial models should be 5'9” (175cm) or taller and have a slimmer build. Female commercial models must be 5'7” (170cm) or taller and can have larger hips so long as they're toned and fit. 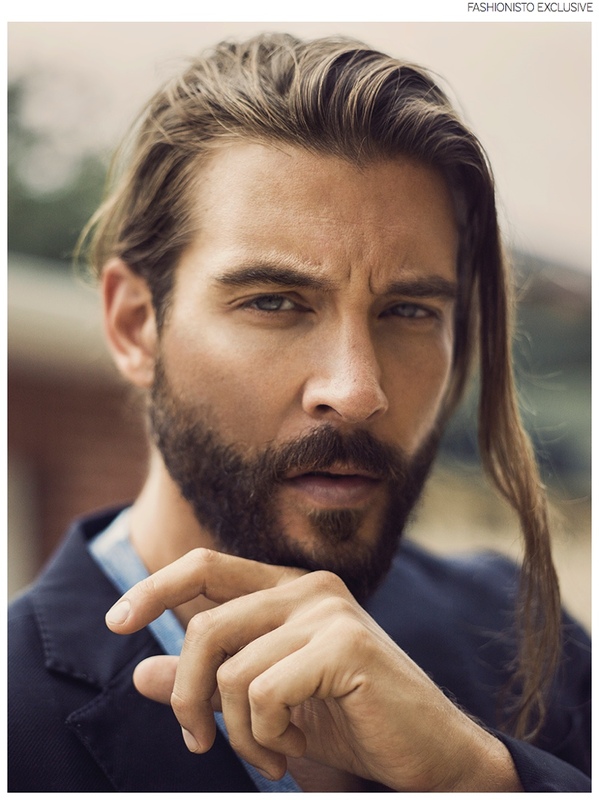 Male commercial models should be clean shaven and 6'0” (180cm) or taller. They should be in good shape but not overly muscular with a good and strong physique. Female editorial models are expected to have a maximum 35” (90cm) hip measurement. Female commercial models on the other hand should have a maximum 36” (92cm) hip measurement. Of course there are always exceptions and being proportionate is always most important. A 40” (102cm) regular chest and a 32” (81cm) waist is theoretically ideal, but many commercial men work extremely well at a 38” (96cm) chest. So long as your shoulder width and waist size are proportionate, you will be able to do suits and other high-paying, high-end commercial work. The female commercial models who are 24 and older, or editorial new faces between 16-21 will work the best in the Toronto. Commercial female models can work in the market well into their late 20s and even early 30s depending on their popularity amongst clients. Male models who are 24+ with a more “masculine” appearance work the best in Toronto. They are able to do many catalogues and campaigns and can also work well in the market in their late 20s and even into their 30s. As a commercial male model, the older you get, the more expensive you get. The following is a list of models who have found success in the Toronto market. They have worked steadily in the city over the past few years and have made a strong, positive impression on clients. Although some of these models may no longer be based out of Toronto, it's where they got their start and are still held in high regard in the Toronto fashion & modelling industries. Toronto has many different types of jobs models can work for including commercials, campaigns, fashion week shows and presentations, editorials, e-commerce, and catalogue. Although it may seem like an appealing market, unfortunately there aren't enough jobs to go around. There is more models than there is work in Toronto and international models might not find the city worth their time and money. Toronto clients are also very loyal to models that they know well and like to work with on a regular basis. If you're a Canadian model or you want to become a model and are interested in finding representation in Toronto, an agency could still take you on because they see you have potential working in an overseas market. Even if you're placed overseas, having them as your mother agency would still entitle them to a 10% commission from your gross earnings. This way, the agency would still be making money off the model and it wouldn't be a waste of anyone's time. Many models when they first start out in Toronto are eager to do fashion week or shoot for Elle, Fashion, or Flare. Even though getting tearsheets is great, commercial work is where the money is. Toronto has much more commercial work than it does fashion. Commercial work includes but is not limited to: campaigns, print advertisements, television commercials, catalogues, flyers, and book covers. One of the best catalogue clients to work for is Sears; a large Canadian department store. The jobs pay very well and they are a great client to have because they'll use a model over and over. But Sears doesn't see every model and it can be difficult to even get a casting with them. If you are a model who does get a casting for Sears, do your absolute best. Although it may sound redundant, models must understand that when they meet such big clients, they usually only have one chance! Clients: Sears, Harlequin, Bluenotes, Suzy Shier, Urban Planet, Bench, Harry Rosen, Wal-Mart, The Hudson Bay Company, eLUXE, etc. There are many different campaigns models can do in Toronto that range from clothing companies like Aritzia, large chain retailers like Winners, shopping malls like Square One, large businesses such as Air Canada and more. Although there are more campaigns for commercial work, there are some fashion labels that hire editorial models too. Clients: Bluenotes, Mendocino, Lida Baday, Pink Tartan, Roots, Capezio, Aritzia, Zeugari, Air Canada, Square One Shopping Mall, Danier, Yorkdale Shopping Mall, Dufferin Mall, Winners, etc. This is only a sample of what kind of brands exist in Toronto that models can potentially shoot campaigns for. There are also local brands and smaller shops that occasionally shoot campaigns as well. Rate: The rate for a campaign in Toronto starts at around $3000 CDN but can be much more depending on the brand, usage, and demand for the model. Print advertisements are a quick and easy way to make money. They tend to not take long and it's usually one or two quick looks. The competition is pretty strong to book a print ad but they do pay very well for one quick day of shooting. Clients: The Keg, Shoppers Drug Mart, Rogers, LCBO, Virgin Mobile etc. Rate: The average rate for a print ad is between $1500-2000 CDN depending on the brand and terms of usage. Toronto has morning television segments where models wear the season's latest trends and fashions. This is usually either for Cityline or Breakfast Television. The great thing about appearing on E, The Social, Cityline or Breakfast Television, is that if you are interested in doing television commercials or getting into acting, is that it can be put on your reel. Agencies in Toronto also have clients all across Canada and the United States that models could book some large commercial jobs with. Casting note: In order to do a television commercial for beer, models must be over 25 years of age. Clients: Virgin Mobile, Winners, Marshalls, Nair, Sears, Shoppers Drug Mart, Pringles, Lipton tea, Tim Hortons, etc. Rate: Commercials can pay a model $3000CDN for a full day of shooting or more. The commercial can pay more depending on the terms of usage, number of models in the commercial, a model’s particular role, and the brand. Toronto has quite a few different magazines that models can shoot for. Many photographers also tend to submit their stories to various publications around the world as well, not just Canadian magazines. However, photographers tend to rehire the same models, so it can be difficult to land your first editorial. Clients: Flare, Elle, Fashion, Remark, 1968, Blowe, The Kit, Glow, Wedding Bells, Wedluxe, VietSun, Plaid, Fantastics, etc. Rate: The average rate for an editorial is around $200, but can even be unpaid depending on the magazine. There are quite a few local designers that models can have the opportunity to shoot for. Local designers, due to budget constraints, tend to not pay a lot for look books but some money can be made as well as pictures. Rate: The average rate for a local designer's lookbook can range between $200-400. World Mastercard Fashion Week is good exposure for a model who is just starting out in the industry. Doing WMCFW is good experience for a model and a great way to get acquainted with those in the industry. International designers occasionally hold repeat shows of their latest collections in Toronto. In the past their have been shows for clients such as Giambattista Valli, Chanel, Escada, etc. These are good opportunities for networking, and can add prestige to your resume. Rate: The average rate of a show during Toronto Fashion Week pays between $200-400, depending on the designer as well as the model. Canadian models such as Amanda Laine, Tara Gill, and Coco Rocha sometimes come back to do a special appearance but their rates are much higher. Although the rate isn't high, if a model does more than 5 shows they can earn a good amount of money during the week. Be friendly – Canadians are renowned for being nice people so always be friendly towards clients that you meet at a casting or job. Clients love a model with a positive attitude who is excited about coming in for work and starting the day. Don't be late – Don't be late for any bookings or appointments. If you are continuously late, you could get in a lot of trouble with your agency because you are also putting their reputation on the line. Although it's rare, some models have been dropped in the past by their agencies because of continued tardiness. If it continues even after a warning or two, you could - in an extreme case - get black-listed; almost the equivalent of being banned from the industry. Put your best 'smize forward' – Toronto is Canada's best modelling market which says a lot considering the market isn't big to begin with (which explains why there aren't many international models in the city). Almost all photographers in Toronto know one another because the market is so small. In light of this, be sure to do the best job you can whether it be a creative, test shoot, or booking. If words spreads through the grapevine that you're a good model to work with, other photographers and clients will be more so inclined to work with you. Forget about being a diva – Being a diva doesn't work in Toronto. Some models who are at the top of their game are renowned for waling off set or arriving late in other markets, but professionalism is what is valued most by clients in Toronto. Toronto is a good place for a model to build up their portfolio with tests because there are many talented photographers to shoot with. The following list of photographers is not a comprehensive list of all the photographers in Toronto. There are always new photographers coming into the industry and as a result not all can be named. Additionally, some of these photographers have now become based outside of Toronto in cities like New York City but still occasionally return to Toronto for work. Felix Wong, Alvaro Goveia, Tina Picard, Michael Woloszynowicz, Stefan K, Alex Evans, Patricia Recourt, Lily & Lilac, Robert Gaudette, Greg Swales, Francisco Garcia, Matt Barns, Nikki Ormerod, Chris Nicholls, Manolo Ceron, Owen Bruce, Irem Harnak, Billie Chiasson, Steve Carty, Cory Vanderploeg, Erwin Loewen, Richard Dubois, Renata Kaveh, Maxime Bocken, and many more. Toronto agencies do not advance expenses for international models. If a model wishes to come to Canada they will have to pay for their own flight. Toronto agencies don't offer models a guaranteed contract. 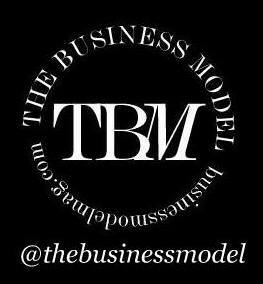 There is not enough work in the market in order to guarantee that a model will get enough bookings in a specified time. Standard Contract: When you sign with an agency in Toronto the contract is usually for one year so the agency can see how you do and what your response is from clients. If it goes well and you're happy with them, they can extend your contract or you can explore other agency options. Visa Status: Work Visa Required. If a foreign model wishes to work in Toronto, they must apply for a Canadian work visa. English is the main language that is spoken in Toronto. But Toronto is a highly diverse and multicultural city and you can find many people from various backgrounds who speak Italian, Russian, Polish, Chinese, Persian, French, etc. Model Apartments: If you are planning to come to Toronto for work, you can discuss housing options with your agency and see if they either have a model apartment or know any good apartments available for rent. The people from Toronto are pretty friendly for the most part. You can meet many people from many different cultures who you are more than likely to have something in common with. If you are walking around the city and get lost, people are usually happy to help and will point you in the right direction. July-August is dead for most models, as is December. There is no excellent season in Toronto. The market is consistently difficult for the majority of models because it takes time to hook clients that will repeat book you and keep you busy. For models who have a high, steady amount of work (usually commercial models), it has taken them time to build that client base, but they work all-year-round and don’t have to travel elsewhere to earn money or work a second job. Getting around in Toronto is quite simple. The subway has only two lines and is incredibly easy to navigate. Models will have little trouble finding their way around the city to castings and bookings, unless clients are located in suburbs like Markham, Missisauga, etc. Public Transportation - Models can get to castings and bookings by taking public transportation or as it's called in Toronto, the TTC; Toronto Transit Commission. In order to get around, models can take the subway, bus, or the streetcar. During the summer months, the TTC is quite efficient and not bad to ride. But during the winter, delays for buses and streetcars occur often and standing outside can get very cold. Always remember to bundle up during those harsh Canadian winters! 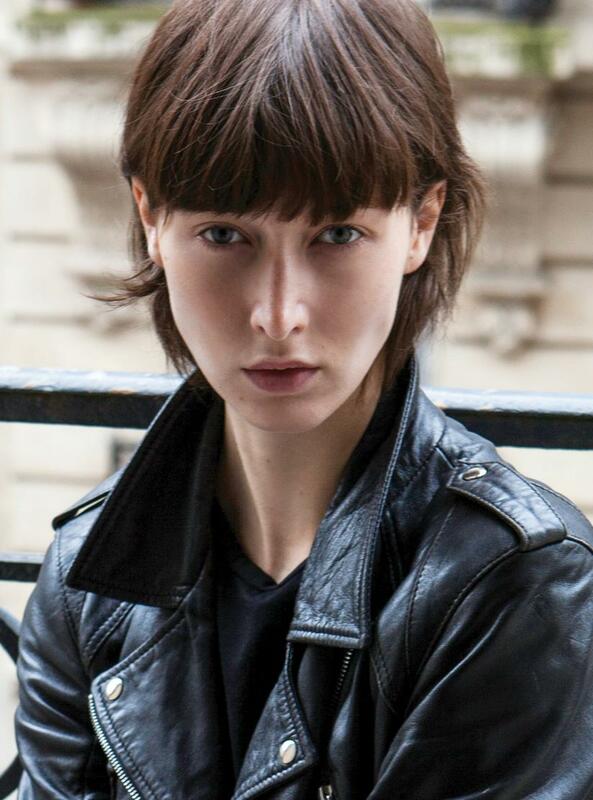 Driving – Some models choose to drive around the city to get to their castings and jobs. Although driving is convenient, especially during Canada's cold winters, parking in the city can be very expensive over time and as much $20 per day or more! Although this might not seem like much to some, it adds up over time and becomes a significant expenses. This is why many models choose to take public transport as a cheaper alternative.